Summer press tasting - you could be there! Aww @JayKay was looking forward to meeting you. Another time! Thanks @Alchemist. Ditto. It would have great and I’m trying to be brave. Looking forward to meeting @Nowt_in_my_glass and @Ewan, and acquaint myself with the wines! 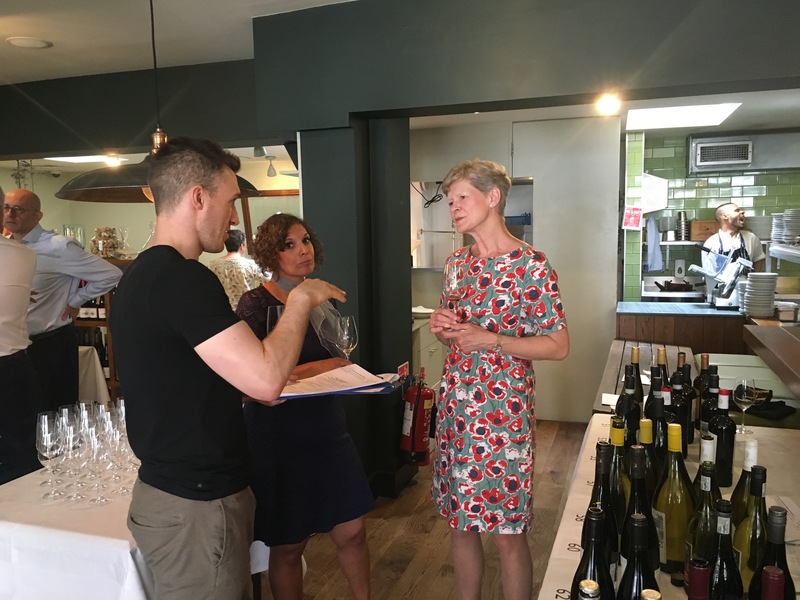 @Nowt_in_my_glass and @Inbar in conversation with our Loire/Alsace/Portugal/South Africa buyer Jo Locke MW at today’s tasting. By golly, I look far too serious!! We decided to split the notes, so that Simon will report on the even numbered ones, and I’ll do the odds… Will try to post something semi-coherent soon, but don’t expect the precision and detail of @Leah!! Home! What a day!! Thank you so much for the invite. I look I’m giving the full paxman hehe I’ll try and get something written up by the end of the week as i want to get it right! @ewan is such a legend for hosting! Sorry to have missed it - looked like a great occasion. I wonder what the guy behind the hatch was tasting?